Parliament is trying to clamp down on lawmakers employing excessive numbers of assistants. Among those with particularly high numbers of are Polish, Lithuanian, Bulgarian, Romanian and Eurosceptic MEPs. EURACTIV France reports. The Paris Public Prosecutor opened a preliminary investigation into the assistants of the National Front in the European Parliament on 24 March, “following the disclosure of facts by Martin Schulz that may be characterised as an abuse of power”, the Prosecutor told EURACTIV. The case falls under the jurisdiction of the French legal system, because the European Parliament is headquartered in Strasbourg. If the preliminary investigation confirms the accusations of the European Parliament President, a judicial inquiry will then be opened. This could turn out not to be an isolated case. The National Front is not the only party to push the boundaries on assistants in the European Parliament. While closing the accounts for 2013, during which process the European Parliament gives its “budgetary discharge” to the Commission, all the accounts of the EU are scrutinised, including those from the Parliament. The European Court of Auditors expressed concern over the high number of parliamentary assistants, and MEPs have reacted by calling for toughened controls. Members of the European Parliament have a monthly allowance of €21,349 to pay their two types of assistants. The first type are the “accredited” assistants, who work in the Parliament’s offices in Brussels and Strasbourg, and whose recruitment is controlled by the European Parliament. They are paid by a third party, on a scale that rises in line with their level of responsibility. The second type, the local assistants, work in MEPs’ constituencies, and their recruitment is not subject to institutional controls. This worries Parliament’s Directorate General for Finance. MEPs have two accredited assistants on average, and six local assistants. The latest European election campaign led some politicians to hire excessive numbers of assistants. Certain members standing for reelection would have needed a lot of help to prepare their campaigns for the ballots in May 2014. In total, over 80 MEPs recruited 10 or more local assistants in 2013, with one even employing…43! “There is not much doubt about the fact that these people were hired on a temporary basis to help with the European election campaign,” a source in the European Parliament said. This situation, a subject of irritation to the issue’s rapporteur, French MEP Gilles Pargneaux, is particularly common in the Eastern countries. The Socialist MEP has tackled the subject by submitting an amendment (78) on the budgetary control report, asking for the European Parliament to implement additional controls. “I want to put an end to the dubious practices of certain MEPs identified by the Directorate General for Finance,” Gilles Pargneaux said. The European Parliament counted 1785 accredited parliamentary assistants and 4860 local assistants in 2013; a figure inflated by the electoral period. Their number fell sharply after the elections. There are now 1716 accredited assistants and 2246 local assistants. But it is not only the French Eurosceptics who are making extensive use of European Parliament funds to pay people in their own country. The non-attached MEPs have a total of 155 local assistants, the European Conservatives and Reformists (ECR) 347, and the Europe of Freedom and Direct Democracy (EFDD) group 181. Polish MEPs employ no fewer than 432 local assistants. Almost all the Polish members of the ECR group have more than 15 local assistants, and one even employs 18. This practice is also commonplace in Romania and Bulgaria, albeit on a smaller scale. Mircea Diaconu, a Romanian MEP, has 13 local assistants, and two Bulgarian MEPs have at least 11. The situation is just as critical in Lithuania, where the majority of MEPs employ at least 10 local assistants each. 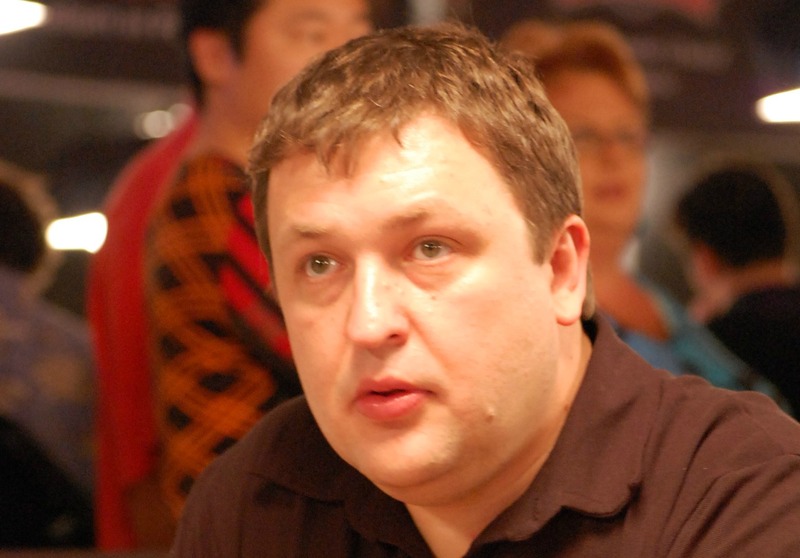 Lithuanian parliamentarian Antanas Guoga, a big star in the world of poker, under the pseudonym Tony G, has 24 local assistants. This high number of assistants can partly be explained by the relatively low social costs and salaries in these countries, but in the case of Antanas Guoga, who employs a total of 27 assistants, the average monthly cost of €777 per assistant has aroused suspicion. The services of the European Parliament Directorate General for Finance have also examined stranger individual cases, including that of an MEP from an eastern country that employed only one assistant, in their home country, and paid them a relatively large salary. It later transpired that part of that sum was used to pay the rent for an apartment. A former European Parliament employee who asked not to be named gave his version on the issue of the “multiplying” MEP assistants. The problem, according to him, stems from a decision by Klaus Welle, the European Parliament Secretary General, to set “ceilings” for the yearly wages of MEP assistants according to living standards of the respective member countries. Accordingly, the maximum yearly salary of a Danish assistant based in Denmark is capped at €105.000, while the yearly salary of a Bulgarian assistant based in Bulgaria is capped at €8.000. Apart from the fact that the discrepancy is absurd (the living standards differ, but not to that extent), the end result is that MEPs in countries like Bulgaria or Latvia, who have the same recruitment budgets as their Danish or Dutch colleagues, can hire many more assistants. “Before blaming MEPs for hiring too many assistants, one should look at Mr. Welle’s calculations”, the former eurocrat said. Since Jean-Marie Le Pen established the French National Front in the 1970s, bringing together a wide range of extreme right political movements, the party has always been home to a number of very distinct movements. The strategy of 'normalisation' run by the party's current leader, Marine Le Pen, is similar to the operation undertaken by other extreme right-wing European parties, which call for a "chauvinistic" welfare state, which protects only one part of the population. With her sights set on the French Presidential elections in 2017, Marine Le Pen is trying to distance herself from racist ideas and comments from members of other European parties, as well as from within her own. The National Front, which brought together a broad range of extreme right movements and finally emerged under the leadership of Jean-Marie Le Pen in the 1970s, has always contained many distinct political currents.